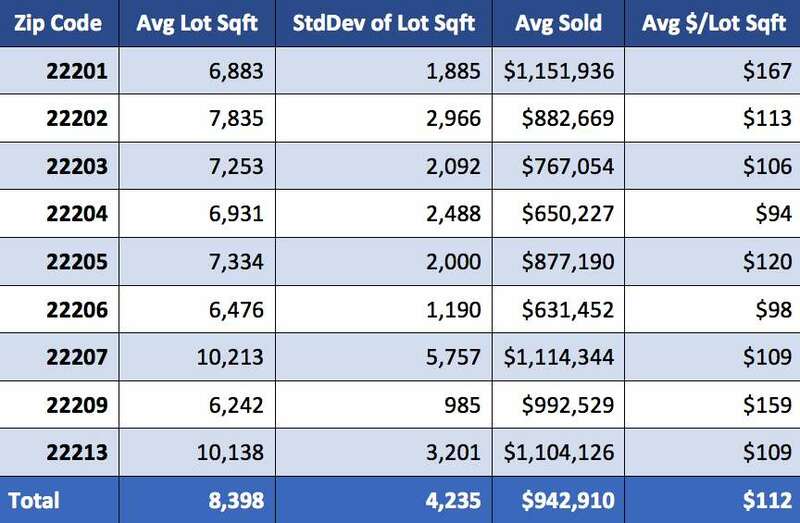 How Much Does Land Cost In Arlington? Question: Can you provide insight into how much a tear-down home costs in Arlington and how lot size effects sale price of a single-family home? Answer: Breaking News… land is very hard to come by in Arlington. Only 11 homes sold in the last ten years had one or more acres, and it’s going to cost you over $1M to buy one. The average lot size of a single-family home in Arlington is about 8,400 sq. ft. or .19 acres with about 70% of homes on 6,000-10,000 sq. ft. lots. 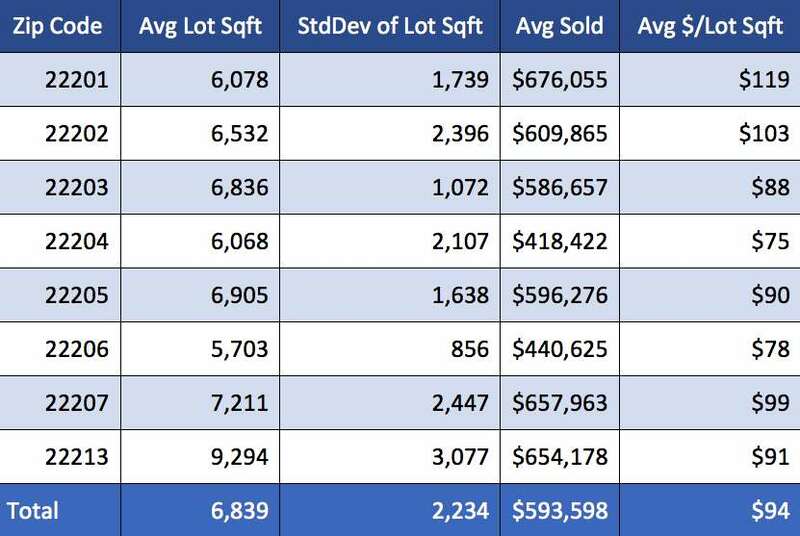 The data above takes homes of all sizes and condition into account so it doesn’t do a great job of isolating the actual market price of the land or how much people pay for tear-down lots in Arlington. To summarize that data, I pulled out the cheapest 15% of sales in each zip code over the last three years. I felt that the cheapest 15% of sales in each zip code were probably good bets for homes being bought for the land/location with the intention of tear-down or major renovations. Note: 22209 didn’t have enough sales to include in this table. Earlier this year I wrote about the variance in County tax assessments and market data. How do the market prices for land compare to the County’s tax assessments, which are broken out by land assessments and improvement assessments (assessed value of the home)? Let’s take a look at how the County has assessed land values on homes sold over the last three years and compare that to the market assessment of land values above. Based on this data, the County values land at about 72% of the market value for land on the open market. Once you’ve had some time to digest the cost of land in Arlington, let me know if you’d like to meet to discuss the process of buying a tear-down lot and building your own home! Email me at Eli@EliResidential.com to schedule an appointment. Newer PostAre Two Bedroom Condos a Better Investment Than One Bedroom Condos?